Reggae has been oft characterised as a music of feeling over technique. It is a fact that reggae rhythms were rarely rendered or produced with any competence by foreigners until the last two decades or so. 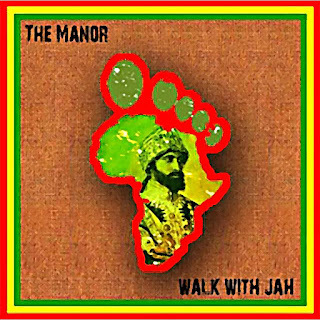 Walk with Jah, the first album on Dubophonic by the UK reggae & dub artist/producer Brad Turner aka The Manor is an example of such competence. Being one of the main artists behind the Foshan Roots project and having released a few works on the discontinued Springline Records label, which can be found on compilations and EPs (some are now obsolete, others are still to be found scattered all around the internet), this is first complete album of The Manor. 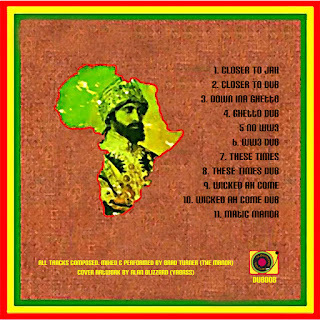 This is an album for the lovers of roots reggae and dub music, the way it used to be; a sincere tribute to the music of the 70s and a nicely crafted window into one man's journey through the music and the culture he loves. We hope you love it too and you enjoy the journey! Alll tracks of the album were composed, mixed & performed by Brad Turner (The Manor). Give thanks Alan Blizzard (Yabass) for the cover artwork.